Surface prep is perhaps the most important step in all coatings applications. In comparison to other surface prep methods, blast cleaning is often regarded as the most effective way to clean and prepare a substrate for coatings applications, primarily because it provides the proper surface roughness and increases the surface area -- two critical factors in achieving physical and chemical adhesion between a steel surface and an organic coating. BlasTek offers a range of surface prep solutions. 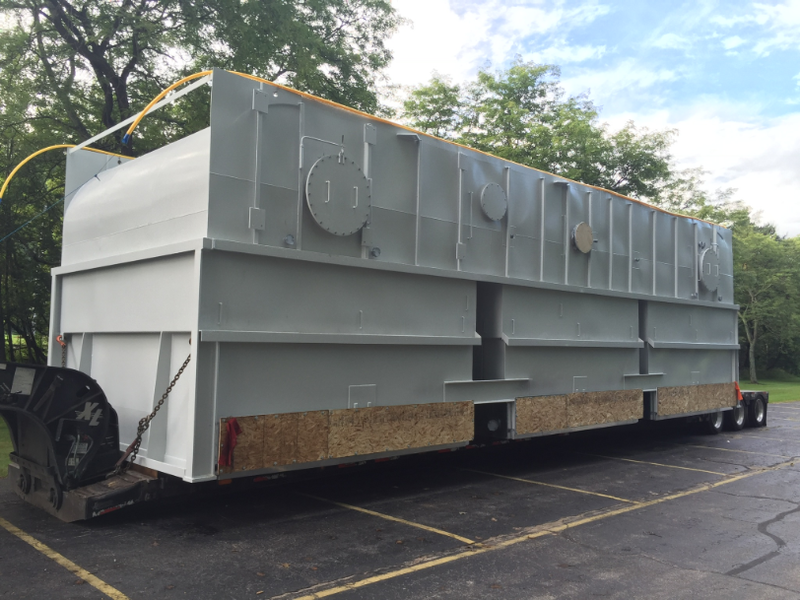 Depending on the scope of the project, you can send your items to us to blast at our facility, or our mobile blasting rigs will come to you with a crew of qualified and experienced personnel. We prided ourselves on repeat business. Some of the items our clients continue to bring us include structural steel and decking, I beams, fabricated steel structures, storage vessels, and other commercial and industrial items. Abrasive blasting allows us to remove rust, mill scale, old coatings, and other contaminants to prepare various substrates for high performance coatings. Depending on the job, we blast from levels ranging from SSPC-SP5 (white metal blasting), to SSPC SP7 brush-blasting. SSPC-SP5 / NACE 1 White Metal Blast Cleaning: When viewed without magnification, the surface shall be free of all visible oil, grease, dust, dirt, mill scale, rust, coatings, oxides, corrosion products and other foreign matter. SSPC-SP6 / NACE 3 Commercial Blast Cleaning: When viewed without magnification, the surface shall be free of all visible oil, grease, dust, dirt, mill scale, rust, coating, oxides, corrosion products and other foreign matter of at least 66-2/3% of unit area, which shall be a square 3 in. x 3 in. (9 sq. in.). Light shadows, slight streaks, or minor discolorations caused by stains of rust, stains of mill scale, or stains of previously applied coating in less than 33-1/3% of the unit area is acceptable. SSPC-SP7 / NACE 4 Brush-Off Blast Cleaning: When viewed without magnification, the surface shall be free of all visible oil, grease, dirt, dust, loose mill scale, loose rust, and loose coating. Tightly adherent mill scale, rust, and coating may remain on the surface. Mill scale, rust, and coating are considered tightly adherent if they cannot be removed by lifting with a dull putty knife.